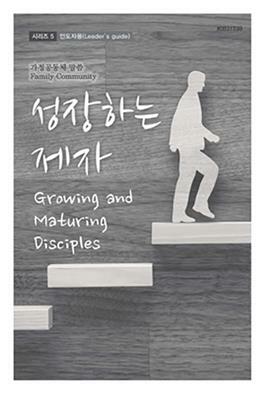 주님의 제자(disciple)는 누구일까? 제자는 주님의 말씀으로 행동하며 사는 사람이다. 더 이상 예수님을 믿는다고 말만 하지 말자. 정말 예수님과 주님의 말씀 안에 거하면서 주님이 원하시는 제자로 살자. 본 교재는 예수님을 만나 제자가 된 12명의 사람들을 말씀에서 만난다. 본 교재는 베드로에게서 시작해서 사도 요한으로 마감한다. 예수님 앞에서 죄인으로 고백한 베드로처럼 주님의 제자로 살기 시작한 우리 모두가 사랑의 사도 요한처럼 주님이 원하시는 제자로 살기를 소망한다. Who are Jesus’dicsiciples? Jesus’ disciples are people that live by His words. Let us no longer just say we believe in Jesus Christ but live as Jesus’ disciples by following the word of Christ. This text refers to the 12 people that met Jesus and became his disciples. This text begins with the story of Peter and ends with the story of John. I hope that we live as Jesus wants his disciples to just like Pester who confessed his sins to Jesus and John the apostle of love.